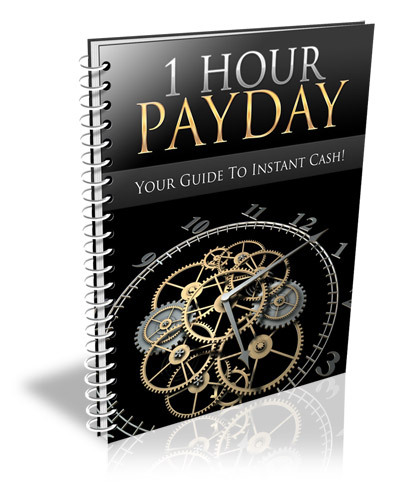 1 Hour Payday- Fire your boss after an hour! One of the greatest things about affiliate marketing is that you can literally start making money online in a matter of a few days, even a few hours. Being an affiliate marketer means that you have the freedom to choose what markets or topics you're interested in, and can cover as much ground as you have time for. You have to wait for your commission check to arrive! For the most part, waiting a couple of weeks for your commission payment to land in your mailbox, or bank account isn't a problem, but what do you do when you need fast cash, and simply can't wait for your earnings to arrive? That's where the '1-Hour Payday' comes into play. With this report, you'll learn how you can generate fast (and quite often, INSTANT) cash from a variety of affiliate programs that are set up to deliver automated payments. So without further delay, let's get right to it!